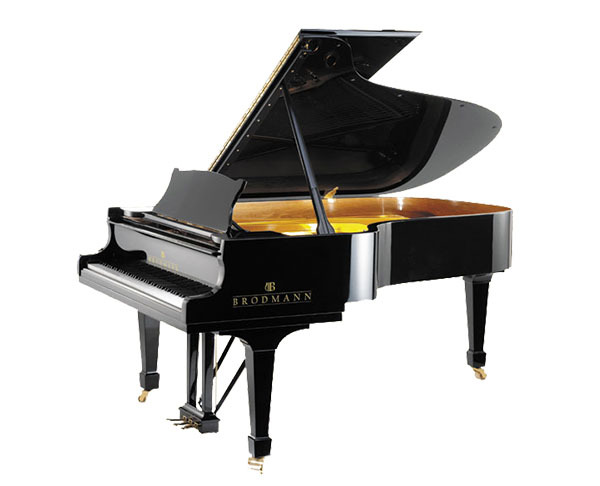 Brodmann’s PE 228 is a professional performance grand piano for use in medium to large concert halls. The tonal color, responsiveness, and wide dynamic sound range makes this instrument a great value for professional players. Finished in ebony polish with 7¼ octave (88 keys), German Laukhuff keyboard, 3 pedals (including sostenuto), German scaling and design, Strunz solid spruce soundboard, and slow close fallboard system. Option: Available with Renner action. L: 228 cm / 7’5"